Our Chair Drumming Vol. 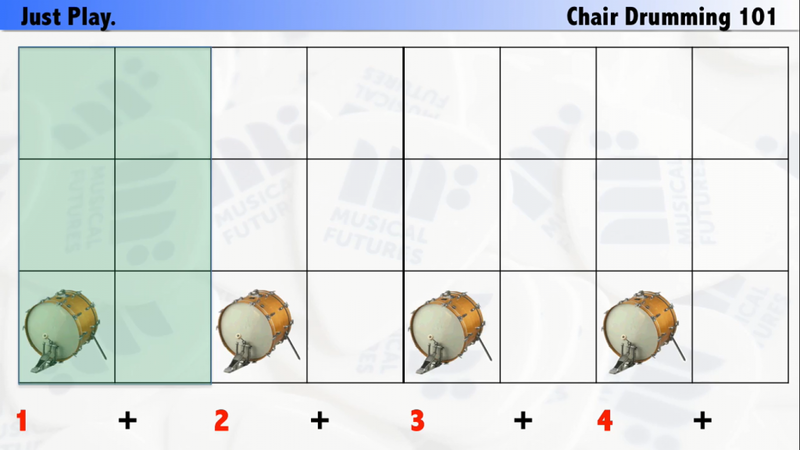 1 Premium Resource can be used as standalone resource – great for developing rhythm, pulse and co-ordination. Lots of fun too! Please note, Chair Drumming is already part of the main Just Play Premium Resource. If you have that resource, you do not need to purchase this resource separately. This Premium Resource is made up of a PowerPoint presentation incorporating an instructional mp4 file so you can play along as you watch.